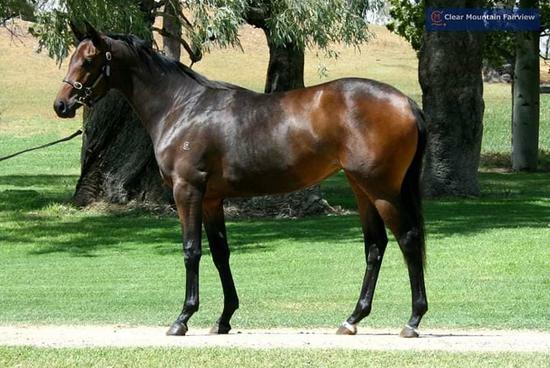 Bred on the fertile lands of the Darling Downs, at Clear Mountain Fairview Stud, you will go along way to find a better type than the Tycoon Ruler (Last Tycoon) x Never Despair (Hotel Grand) filly. She is an early foal with plenty of bone, faultless confirmation and a very sensible temperament. With lucrative QTIS Filly Bonuses on offer, for the first three runners in QLD Metropolitan, Provincial and Country 2YO and 3YO races (excluding black type, feature and Magic Millions races) this filly presents a wonderful opportunity to get involved in racing without too much outlay. We purchase the filly for a very reasonable price of $16,000 but do not let her purchase price fool you as this filly is the real deal. Her dam Never Despair was a 2YO Metropolitan winner who won three races and competed five times at black type level. Her dam Sweet Venture (Quest For Fame) won over 1800m and is a ¾ sister to Champion 3YO Filly in Australia 2000-01 UNWORLDLY. Her sire Tycoon Ruler was a top-class sprinter, twice a 2YO winner, a stakes winner and Group 1 performer. He is a son of the great sire of sire Last Tycoon and like his sire he passes on speed, soundness, clean wind and excellent temperament. Tycoon Ruler’s phenomenal strike rate of 70% winners to runners has firmly established him as a consistent producer of resilient winners on the track.